Hello :-) I've been wanting to get a Corgi for years, and have finally gotten my wish. My boyfriend Aaron and I just recently brought home Marcus, a 1 year old Pembroke Corgi. Hum'nbird My Fair Share - "Marcus"
After a very successful visit this morning, we have brought home Marcus, and I finally have my very own Corgi, after years of wanting one. So far, Marcus is settling in well. He ate his dinner well, and has been playing with all the toys and chews that we got for him. So I found out a little over a week ago that the breeder that I was hoping to get a puppy from had a 12 month old show prospect that had grown beyond breed standards. I spoke to her about him on the phone, and we've been emailing back and forth, and we are going to meet him this Sunday. Happy Birthday Marcus! He is a great lookin' guy! I am so excited for you about your new guy! Marcus is such a cutie!! I see his birthday is tomorrow too. He got the best gift in the world -- a loving home!! HAVE FUN!!! 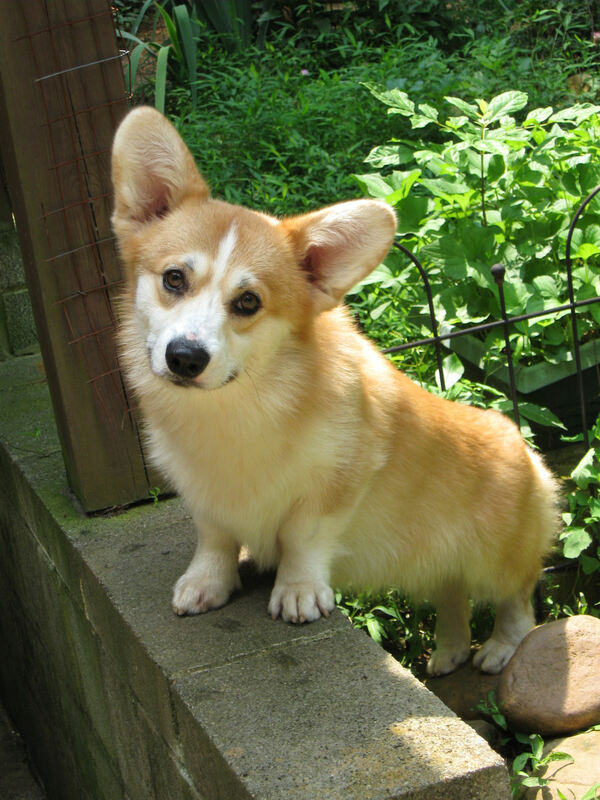 Just be sure that a corgi is absolutely the dog for you and that you get one from a reputable breeder! :D I'm glad me and Waffle were an inspiration for you.